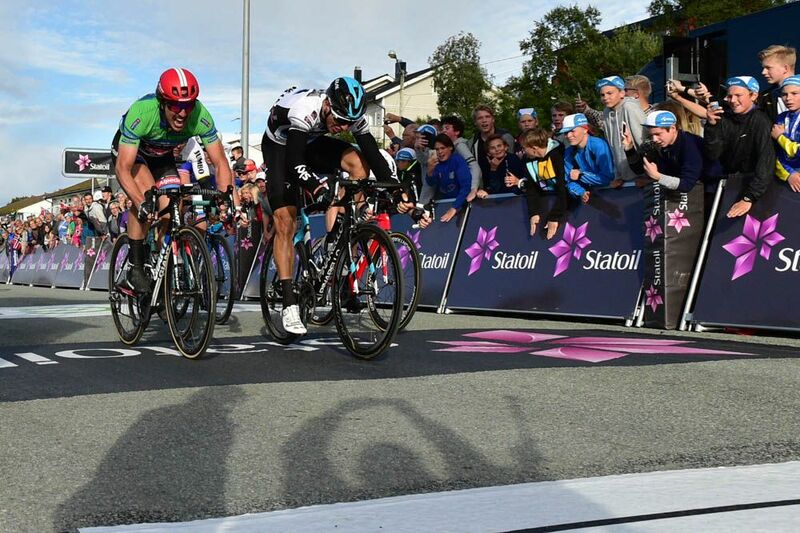 Danny van Poppel (Team Sky) continued his fine run of form by winning stage two of the Arctic Race in style. 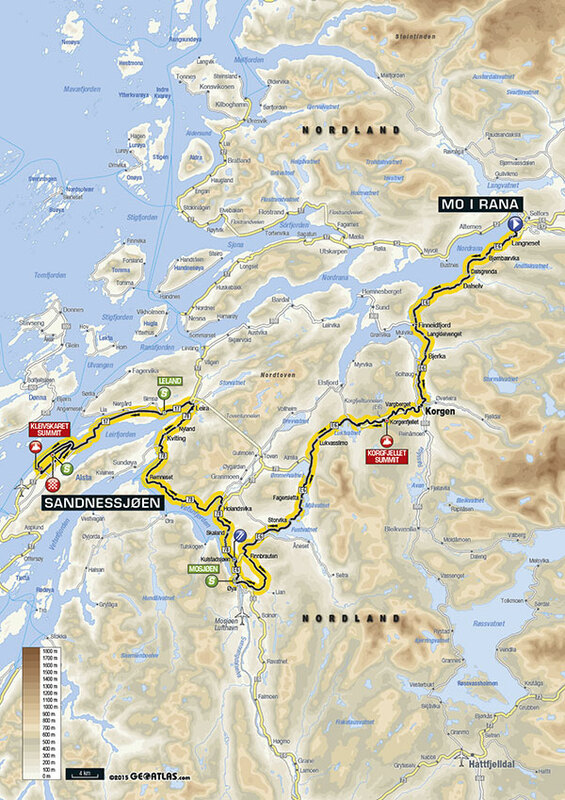 After good work from Andy Fenn and Ben Swift in the closing stages, Van Poppel rounded John Degenkolb (Giant-Alpecin) to launch a long sprint and pip the German to the line in Sandnessjoen, after expert positioning on the final rise inside the last kilometer. Following his third place on day one the win moves Van Poppel into a two-second race lead and to the top of the points standings, while he also stays at the top of the young rider classification. It caps a fantastic two weeks for the Dutchrider, who won the opening two sprint stages of the Vuelta a Burgos, and he’s likely to be in the mix on the sprinter-friendly stage four in Norway. 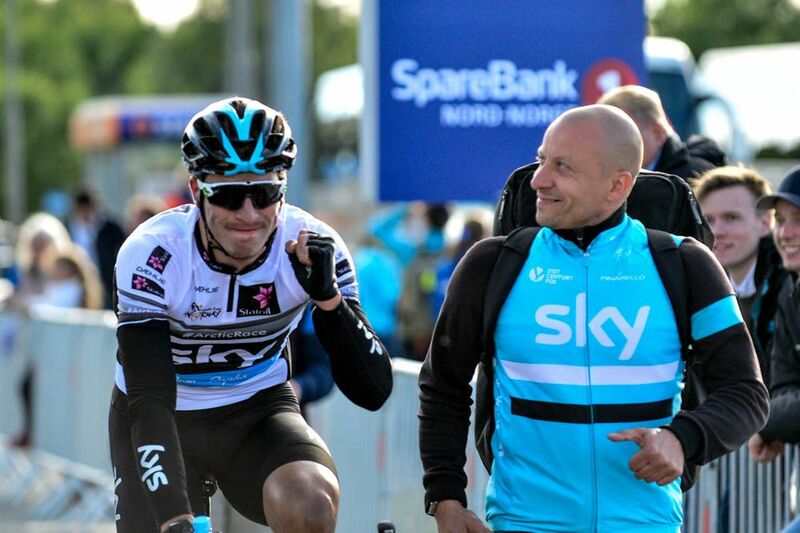 “It was a hard sprint but I’m really happy with the victory,” said Van Poppel after the stage. 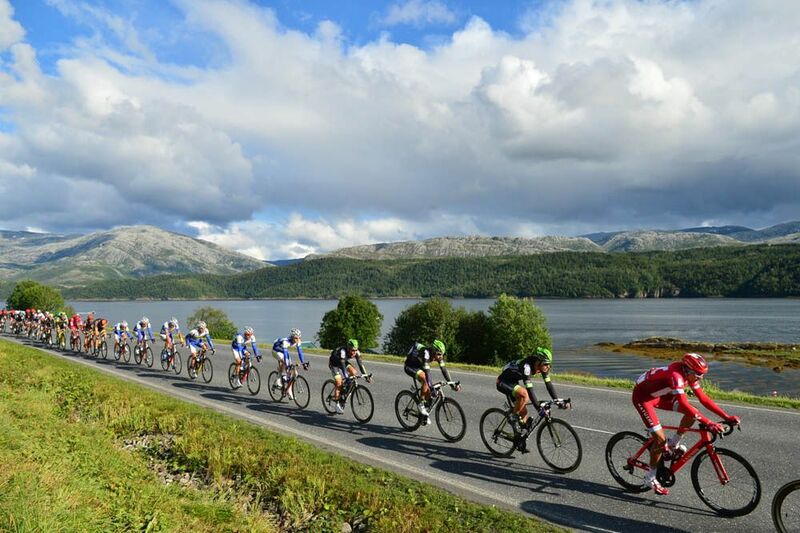 129 riders started stage 2 at Mo i Rana, the industrial capital of northern Norway. 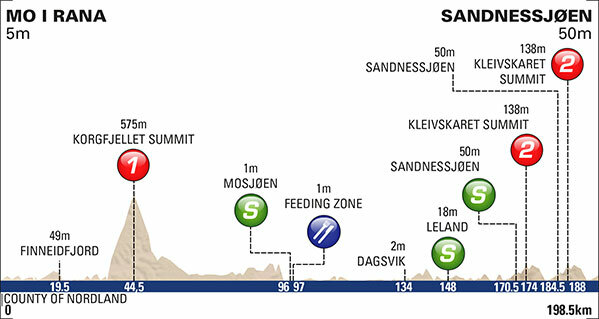 Adrian Aas Stien (Joker-Byggtorget) initiated the long breakaway of the day right after flag off. 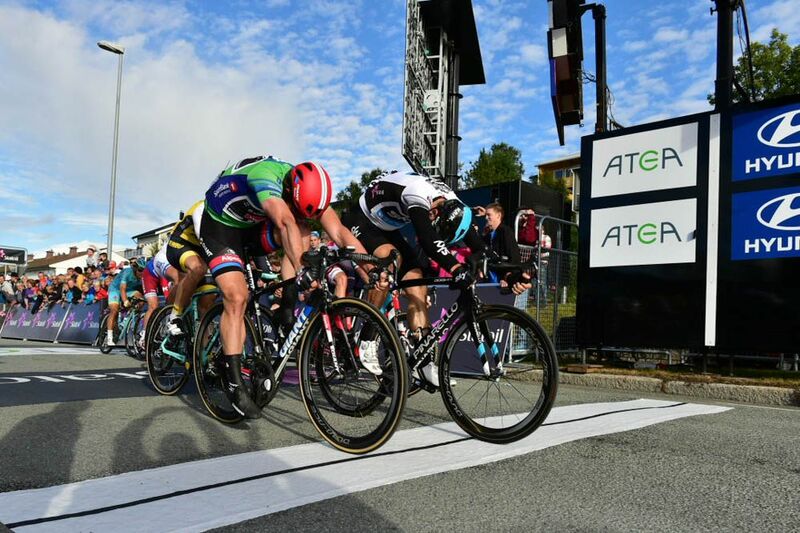 It became a 6-man group with the addition of Jay Thomson (Dimension Data), Kevin Van Melsen (Wanty-Groupe Gobert), Alex Kirsch (Stölting), Carl Fredrik Hagen (Sparebanken Sør) and Audun Brekke Fløtten (Ringeriks-Kraft). After the reached a maximum advantage of 5.28 at the bottom of the main climb, Belgium’s Van Melsen crested the first category climb of Korgfjellet (km 44.5) in first position ahead of Thomson and Kirsch. Sven Erik Bystrøm and Viatcheslav Kuznetsov brought the gap down for Katusha before FDJ and Giant-Alpecin came in help. With 80km to go, the front group was reduced to five riders as Kirsch was reeled in by the peloton.